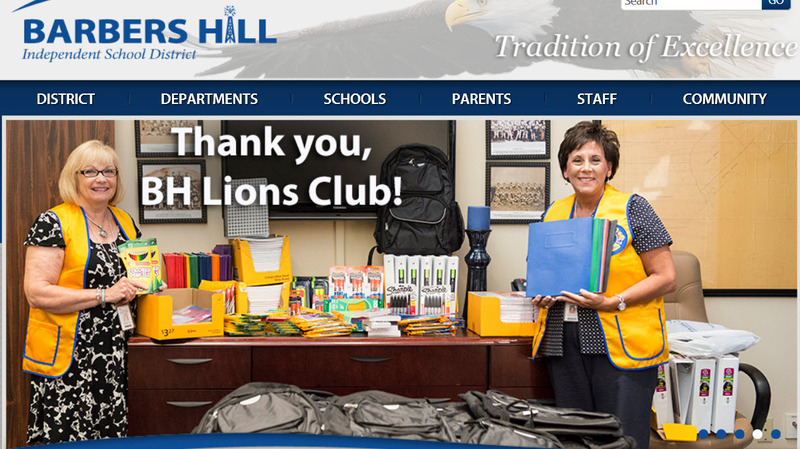 Lions Club International is the world's largest service club organization with more than 1.3 million members active in more that 200 countries. Founded in 1917, Lions are best know for fighting blindness. But we also volunteer for many different kinds of community projects such as caring for the environment, feeding the hungry and aiding seniors and the disabled. left to right Peter Gunderson, Kristen Gunderson, and Lenny Baca! prepare the camp for this summer's participants. Thanks to all! 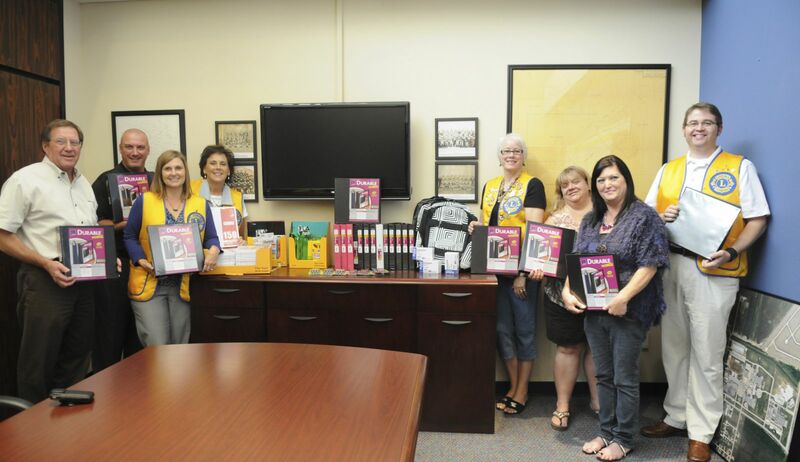 Barbers Hill Lions Stephanie Gage and Barbara Ponder show the school supplies donation made by the Lions Club to Barbers Hill ISD for students in need. *****Good News! 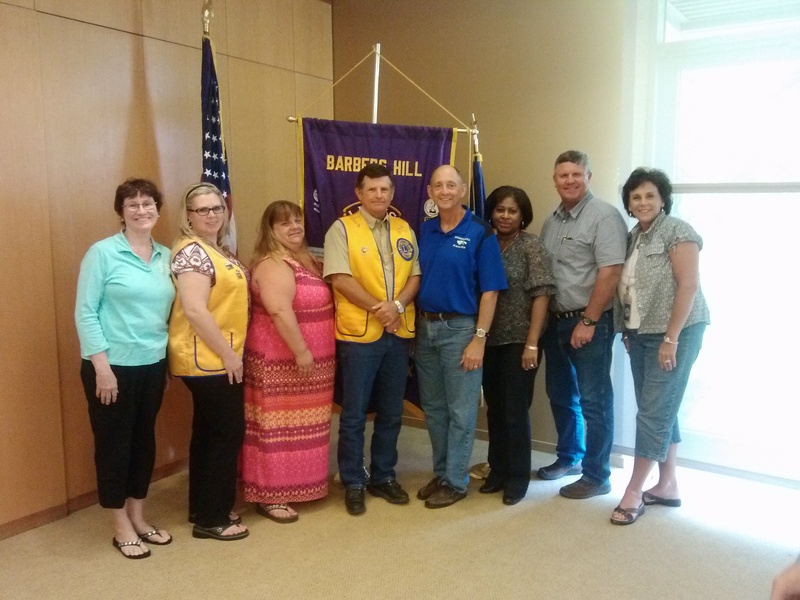 Barbers Hill Lions Club has met the club presidents' award criteria by achieving positive net growth for the year ending June 30, 2013. 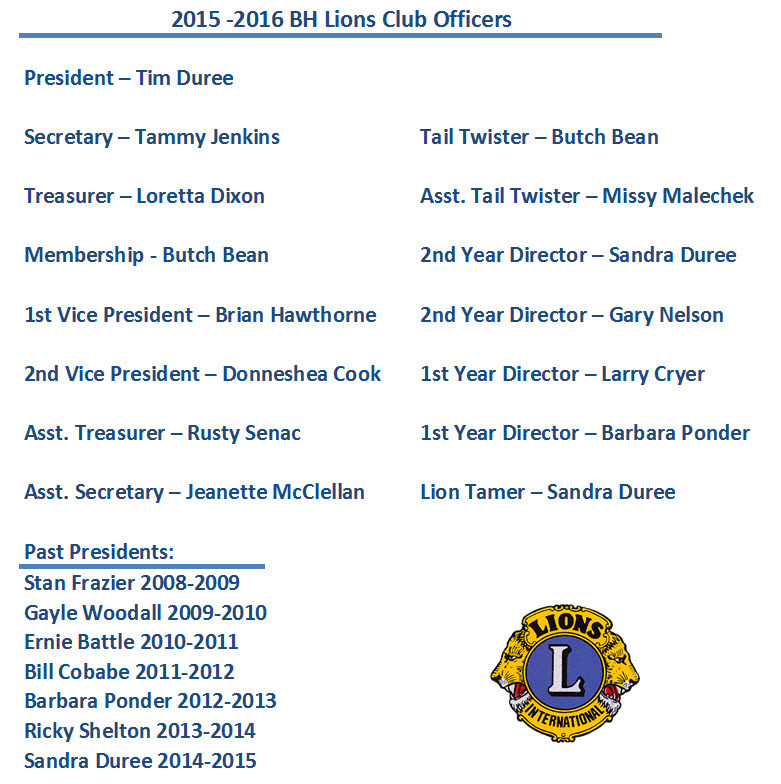 This is a significant accomplishment for the club in its efforts and contributions to "A World of Service"! Membership growth not only benefits the association but it also directly impacts our communities, both locally and globally; through increased numbers of volunteers working to make a difference and serve those who need help the most. Lions Volunteer at Relay for Life: Barbers Hill Lions Club representatives at the United Way Relay for Life pictured below are from left to right - Patsy Battle, Ricky Shelton, Ernie Battle and Becky Johnson. 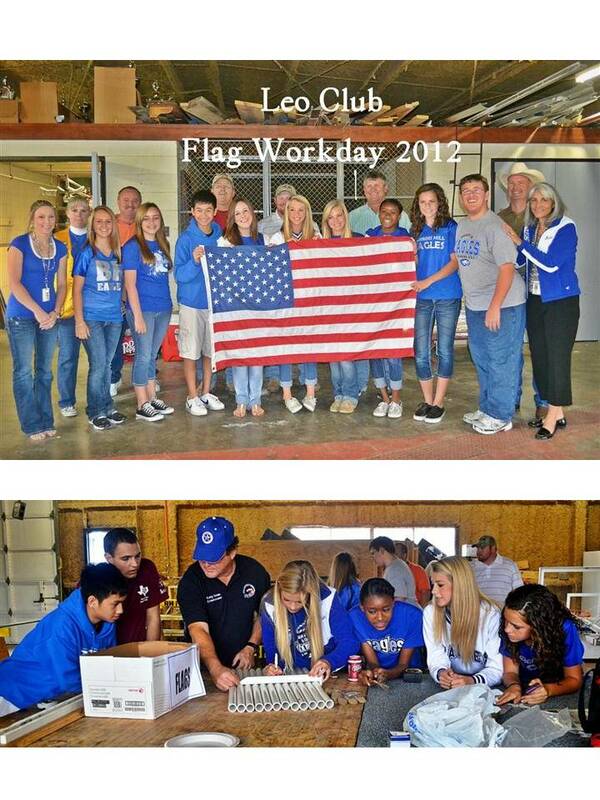 Barbers Hill "United Way Day of Caring" American Flag Day Project Pictures: Thanks to the BH High School Leo Club, BH Administrators and BH Lions Club for helping to prepare American flags to show our community pride and patriotism. Here is a picture of Barbers Hill H.S. 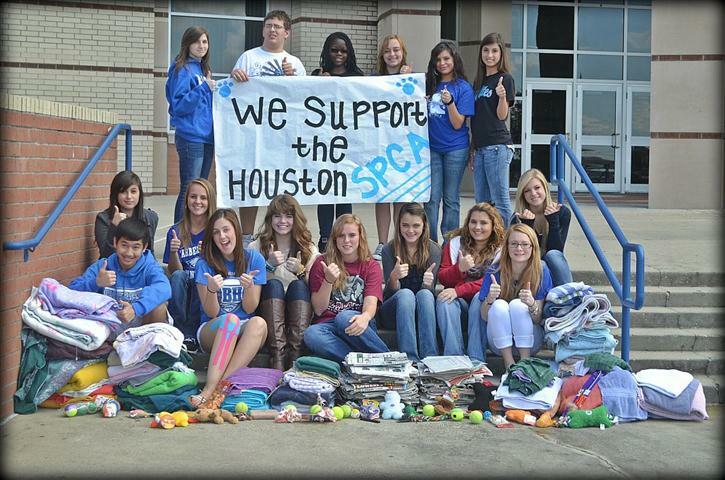 Leo Club members with their SPCA donation! Lots of towels, blankets, newspapers, and toys! 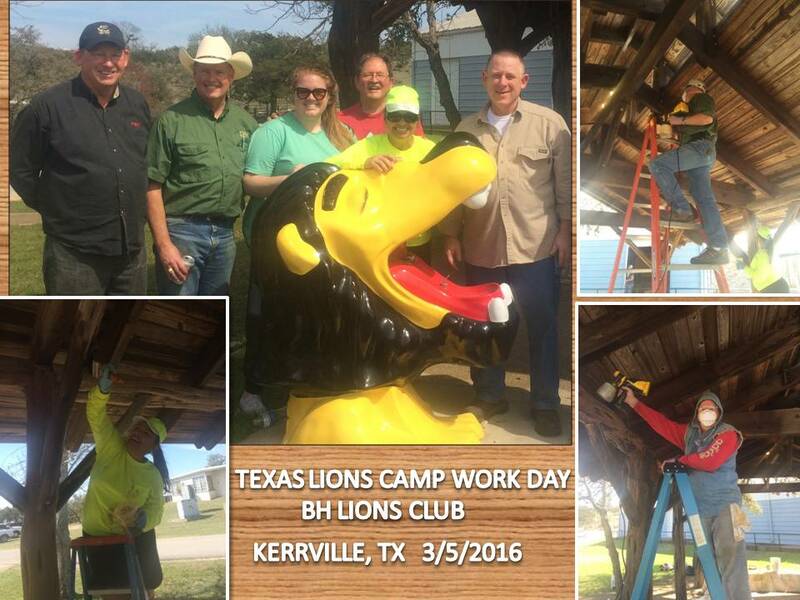 Thanks to Leo Club sponsor Kristen Cloud, Barbers Hill H.S. Biology teacher. Congratulations to Fall Fest Lions Club Raffle Winner Becky McManus! Also to all those who contributed to this worthy cause! Congratulations Hannah Donnelly! - Recipient of the first Barbers Hill Lions Club Scholarship 2011-2012. 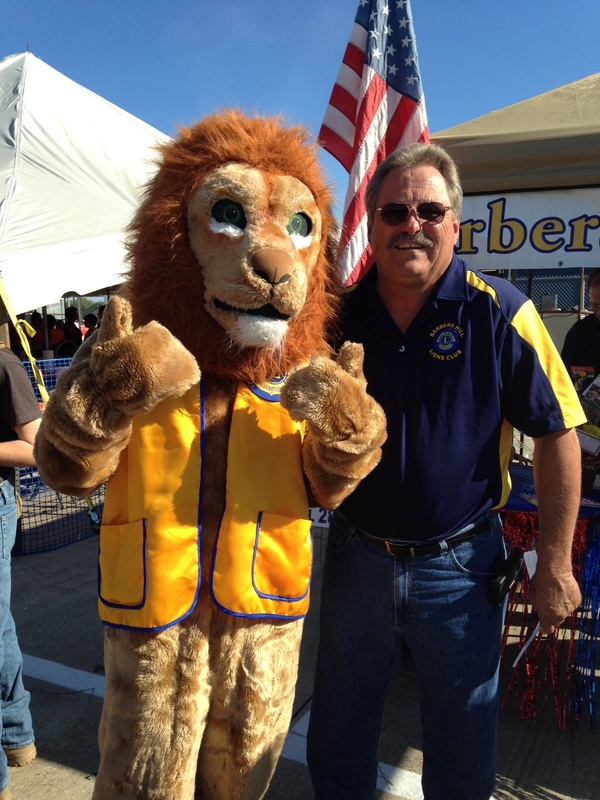 Hannah is pictured below with Lion President Bill Cobabe.